I appreciate the design language being used on it. Replace that with a USB-C PD port capable of input & output, & USB-C wall, & USB-C car chargers and I’m sold. Even remove 1 USB-A port if you need. I think the design and features are very nice but I would like to see a larger higher amperage version for larger vehicles/engines. Like @timricha said a type c input/output would be useful to recharge the jumpstarter off other power banks or portable solar panels when you're in a remote area and don't have access to a 12v socket or wall outlet. What product do you think that Anker will make next and for which device? For some time now I have been thinking about getting a Chromebook for work since I need a machine that could be charged via a power bank but I do not want to get a MacBook just for that. However, all of those machines are 40W and there are no power banks on the market that can do that. So, perhaps this is already in the works, but are there any plans for a 40W power bank? Is it even possible (specs, capacity, size, weight) to have a newer version of Anker PowerCore+ 26800 PD USB-C but with 40W so Chromebooks/laptops could be charged via USB-C as well as phones and tablets? That is true freedom for me - work on my laptop/Chromebook and just hook up a power bank when the battery is low to charge it up. The same goes for my phone and tablet - just hook it up and go. If I had one of these in my backpack then basically all of my charging problems would go away and I would not need to haul my laptop charger, phone and tablet charger but just one power bank with one or two small cables. Technical question though - would a 40W power bank mean that a laptop/Chromebook would be charged the same way as through its official power cord connected to a wall the same way phones and laptops are being charged through one or it would just "sip the battery juice" from the power bank instead of its own battery and could only charge if turned off (but with the same speed like a wall charger)? 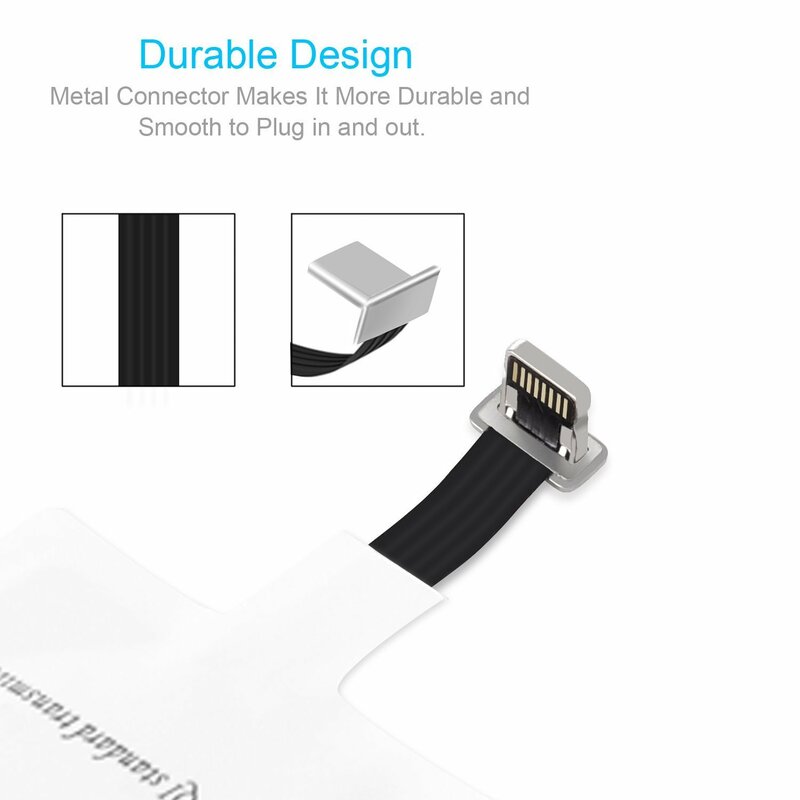 Cables with L-shaped connectors on the device's end - lightning, USB-C, Micro-USB. I want to see more chargers (not just the batteries) incorporate Power IQ 2.0. Wall chargers, desktop chargers, etc. Help us save money by not buying Qualcomm 3.0 chips and make the products smaller. Power IQ 2.0 has been out for a while now, I'm disappointed that there hasn't really been much in terms of chargers that are taking advantage of this. Hi @uuqqawst and welcome to the community. So there are fours dimensions to think about. 1) The battery life of your Chromebook. This is typically very good, 8-10 hours is common if not hammering media and apps. Good to know your Chromebook's internal battery size in Wh and how many hours you expect to get, to then be the basis of extrapolation. 2) Wattage. I will use an example of the Asus Chromebook C302. So say you bought a Chromebook with say 39Wh battery and it affords 8 - 10 hours means its battery is draining about 4W - 5W per hour. Remember that is it important. 3) External battery powerbank (your ask). So a Powerbank which is not Power Delivery will output about 10W-12W. SO compare to the 4-5W above, so your typical Powerbank will output at about double the consumption needs of power of your Chromebook. So you do not actually need 30W Power Delivery Powerbanks at all! 4) Watt-hours. Also known as Energy. A smaller 20000mAh Powercore holds about 74Wh of energy, about 30% is lost in conversions so your example Chromebook above is going to see about 1.3x recharges. IF you got 8-10 hours off the Chromebook's battery therefore you're adding 10-13 hours of recharge off this example Powercore to get 18-23 hours of total Chromebook time. A) "reactive". You sit with a Chromebook and use it for hours til "oh what a surprise the battery is flat", it will be discharging and needing 4-5W and if you plug in a slower 10-12W Powercore it will slow the discharge and slowly recharge. B) "proactive". You know you are about to enter a long Chromebook usage period, so you plug in your Powercore early, then that 4-5W demand and the 10-12W input is able to keep your Chromebook's discharge around nil so you begin with a charged Chromebook and you ended with a charged Chromebook. being dumb. Do not react. Plan ahead. the precise combination of your Chromebook and the Powercore you are considering because they do need to negotiate a common power which is not too slow. So ask in forums. Check, find someone who has a specific combination you seek. Thank you for your reply @nigelhealy ! Actually, I was thinking about the combination of ASUS Chromebook Flip c302 and Anker PowerCore+ 26800 PD USB-C. Very interesting, perhaps then Anker has already managed to cover this market segment after all. Pardon my somewhat technical ineptitude on this topic but if I understand this information correctly then this Chromebook is easily chargeable with this power bank, both in the proactive and reactive scenarios, as well as while it is off. Is this true? If you have any first-hand experience regarding this please do share, especially when it comes to times of recharging (battery percent increase per hour while in an average reactive scenario and while it is off). I was hoping to rely mostly on the device's battery and have this (or similar) power bank as a back-up on longer trips or work days away from my usual surroundings so a reactive scenario would seem more likely. Why is this a dumb(er) scenario in your opinion? On a side note, do any of these scenarios affect the lifespan and integrity of a Chromebook battery when opposed to "normal" charging via its official wall charger/adapter if power bank specs do not align 100% with its official wall charger/adapter? Unfortunately, one of the first generation Anker power banks I own actually ruined three batteries in two separate phones I own (one of them actually being an Anker battery) but I chalk this up to the lack of PowerIQ technology for that model I own. However, as far as I understand, PowerIQ is limited only to USB outputs and does not include USB-C. The official specs of the ASUS device state that its adapter outputs a charge of 20 V DC, 2.25 A, 45 W via USB-C for its 39 Whrs battery. However, apart from Anker's advertised power of 30W for this power bank, I was unable to find the V and A values for their USB-C output. I suppose a lower value in volts than 20 V would result in not charging at all and a lower value in ampers than 2.25 A would result in a very slow charge. While I understand that a device like ASUS would get about 3 full charges from the aforementioned Anker power bank, I always thought that you need to match the power values in watts for power-hungry devices such as laptops or Chromebooks or they would otherwise not charge or charge enough for power banks to be able to be a reliable back-up. Thank you and pardon my lack of knowledge on this topic. USB-PD is finnicky. There is no assured combination it has to be tested. If you do not find a posting say a combination has been tested and works then the safest option is to assume it won't. travel desktop charger with 65W USB-C charge and Power IQ 2.0 USB-A or Quick charge 3.0, 4 ports total is plenty. smaller is better for travel. 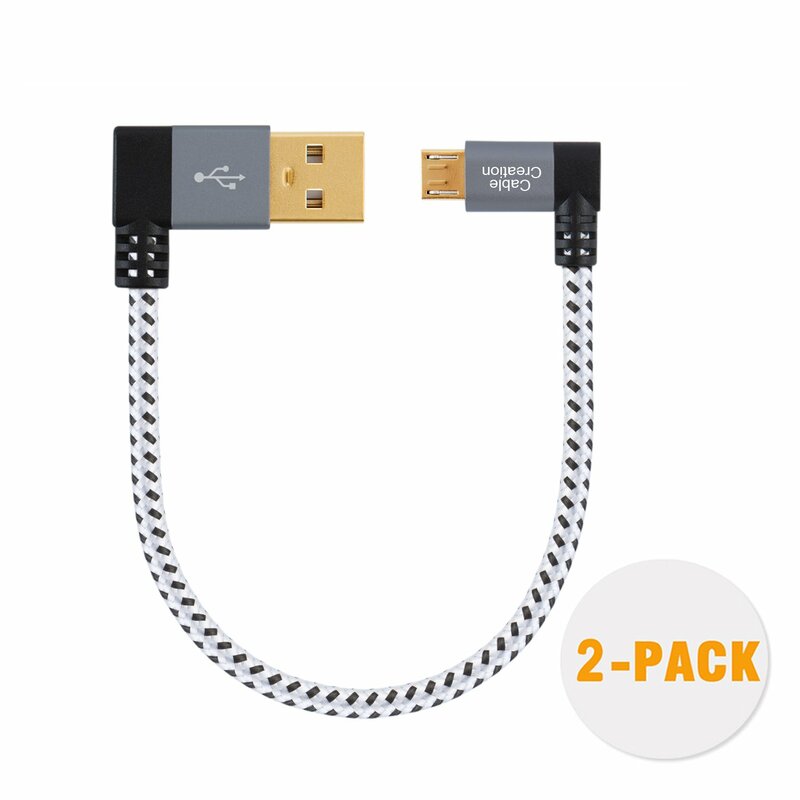 1-foot USB-A to USB-C cables.